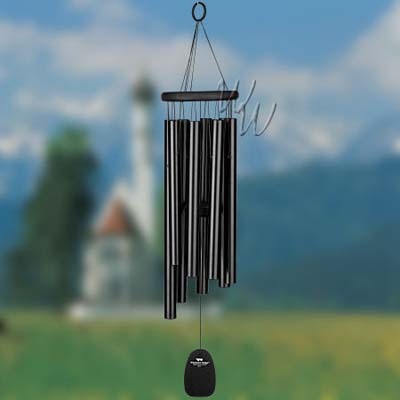 Tuned to a medieval scale, our Gregorian Chimes echo the vocal music of the gothic era, sung to accompany meditation in the churches of Europe since the late 8th century. Each chime has eight tubes for an exceptionally rich sound, and each one harmonizes with the others, so they sound absolutely wonderful together! 27.5 in. Overall Length, Black finish ash wood, 8 black powder-coated aluminum tubes.